Last year was all about no-fuss haircuts that are easy to style and look great on modern women. Gone are the days of tight curls and pinned-to-place hairstyles. 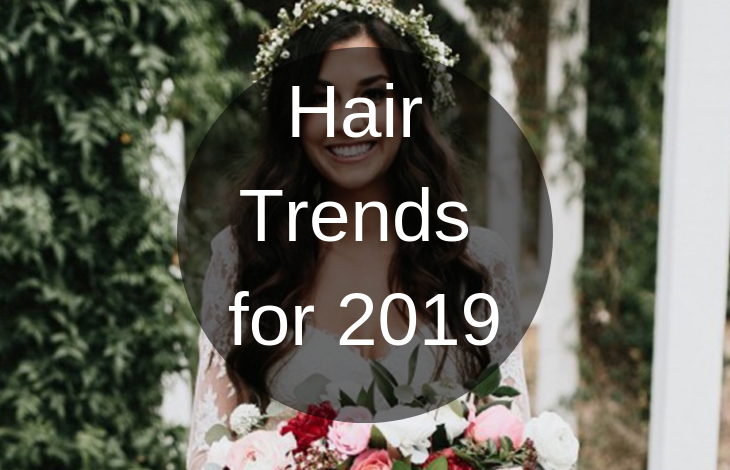 Women of 2019 prefer a trendier (and professional) vibe for their locks. 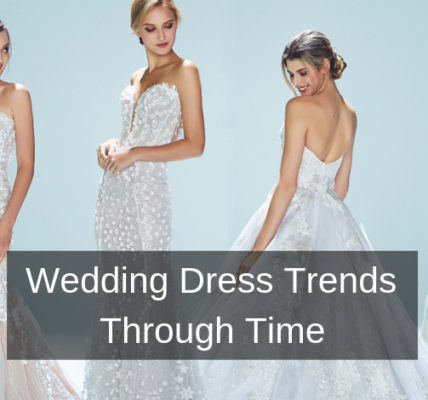 The same goes for bridal hair trends this year. 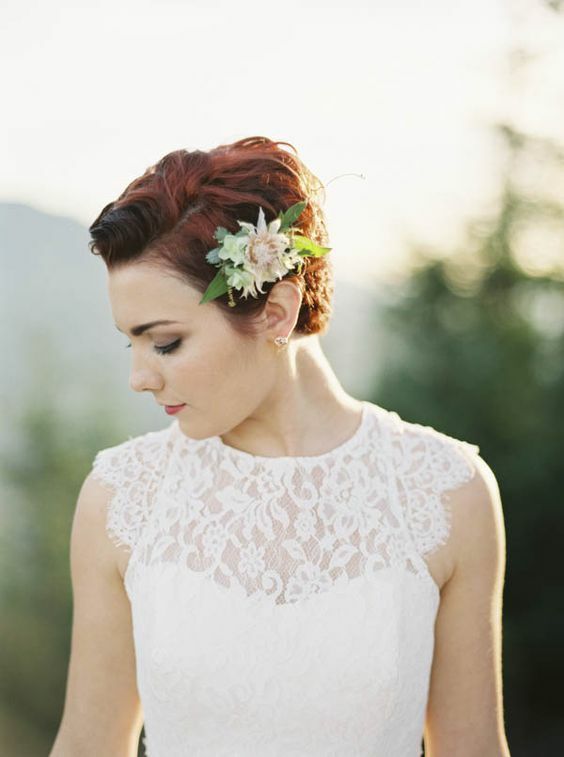 The hairstyle you choose should go with your wedding dress (yes, we aren’t kidding). All the accessories and hair color should be in tune with your bridal gown for the special day. It’s wise to plan it out a month ahead so you can check in with your stylist and discuss different options. Before you go, check out this list for contemporary, chic, and trendy hairstyles compiled especially for women who are looking to experiment and ditching the traditional ones. So many women are afraid to experiment with their hair generally, now multiply that with the stress of looking good for your special day. But the ones who do, they never go back. Go short or go home is the new mantra for modern women because of the minimal fuss required in styling, and taking care of your hair. We would say hiring a well-reputed stylist for the task. Once done right, a pixie cut can entirely change the appearance of a woman. Its chic, modern and sophisticated all at the same time. An angled bob ensures volume on the back and party in the front. This style literally speaks volume about how far we’ve come in styling our locks. You can’t go wrong with an angled bob. It flatters your looks and is a statement in itself. Add in a few highlights (or lowlights) to give it more dimension and you’re not only set for the wedding but also for the honeymoon afterward! Why chose the lob? If you have always wanted to dare and chop it all off but the thought freaks you out. 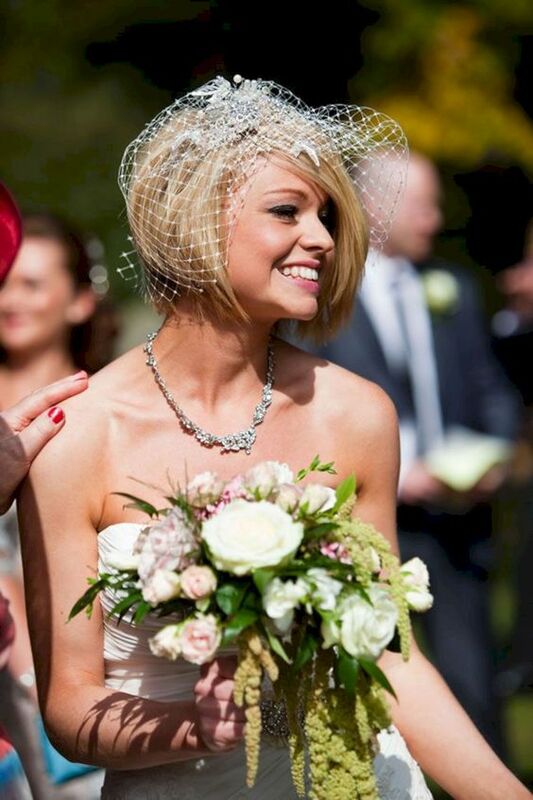 The Lob is great as it’s not to short and not to long, it’s the perfect length! It has a high chic factor that no other style can achieve. It flatters all types of hair textures and can be styled in tons of different ways. Adding chains, studs, braids, twists, buns, loose curls, highlights and lowlights are just a few things you can do with a lob. It’s the queen of all hairstyles and personally our favorite! One of the wedding styles that never go out of fashion is coupling long layers with beachy waves. For women who prefer long hair no matter what, should opt for layers starting from their collar bone and going all the way down. This girl-next-door hairstyle looks perfect no matter how many times you do it. In order to give a twist to this cut, you can experiment with different hair colors, and choose accessories accordingly. A side bun or a volumized braid can be styled with a haircut of such length while the bangs provide a face frame and continue to awe the guests at your special day! A glamorous wedding needs an equally glamorous bride! 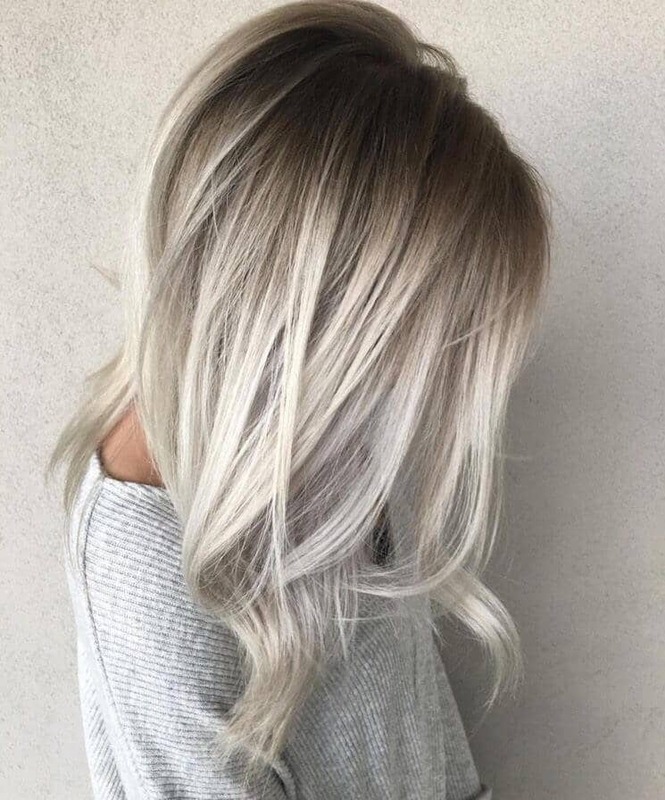 Platinum blonde is a great hair choice for brunettes or even blondes, and when paired with dark roots, it shouts TRENDY from the top of the Empire State building. A nice tiara or a crown braid would further enhance your look for your special day. 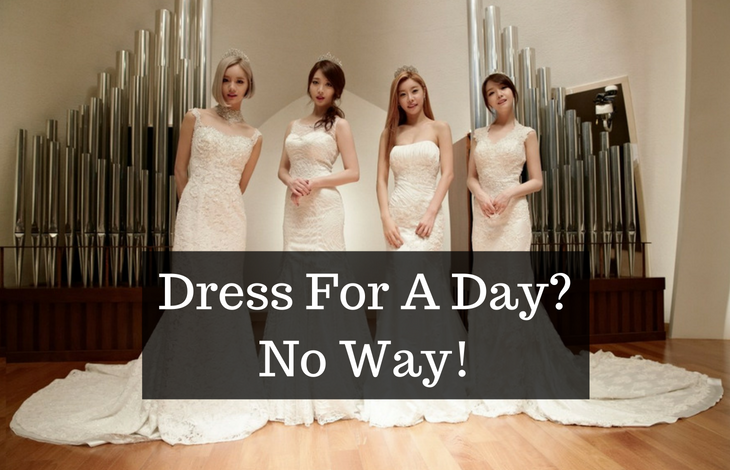 If you aren’t already on your way to have a chat with your stylist then you’re probably not serious about looking extravagant for your wedding. 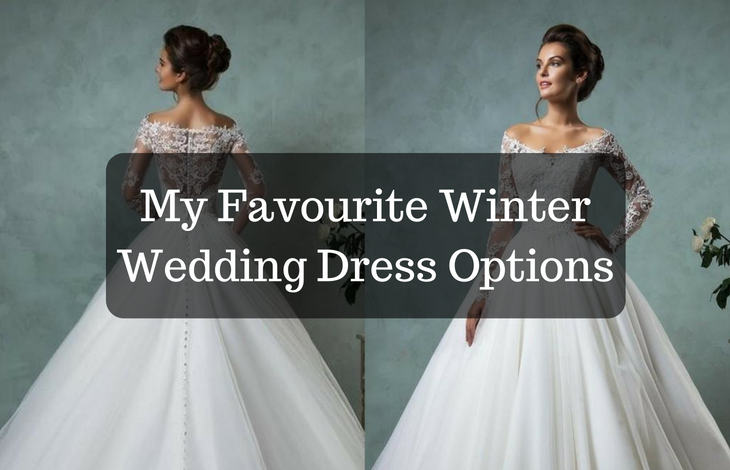 It’s your special day and we’d suggest you choose something that makes you feel comfortable and is chic at the same time. Good luck girls, treat your locks well! Dress For A Day? No Way!